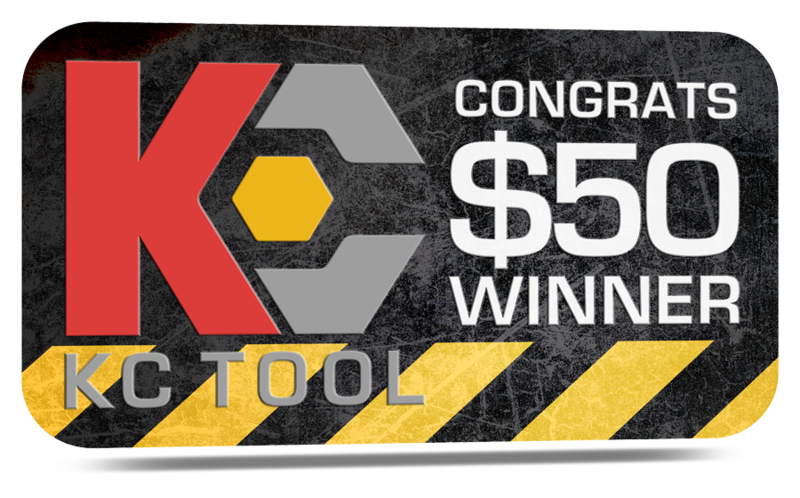 Each month we give a $50 KC Tool gift certificate to one of our customers who left a product review in that month. The gift certificate is applied to the customer’s account so they can use it next time they make a purchase from KC Tool. Strings? What strings? There are no strings attached. This is just a good old fashioned giveaway to thank those of you who leave reviews about the tools you buy from us. The more reviews you leave, the better your chances of winning. Congratulations, Scott! Thanks for leaving your reviews and your kind words about KC Tool. Wondering how we choose the winner? It’s nothing fancy. We export all of the reviews into an excel spreadsheet and use random.org to generate a random number. The corresponding numbered line on the spreadsheet is the winner.